“Invasive alien species are one of main causes of biodiversity loss and represent a cross-border challenge” stated Stefan Leiner (European Commission) during an event on invasive alien species. The conference “Invasive Alien Species: Enhancing cross-border cooperation in Nutria management” was the occasion for water authority representatives, farmers and hunters to present their experiences and strategic approaches, and to show how cross-border cooperation between relevant stakeholders is crucial to manage the growing Nutria population in Europe. 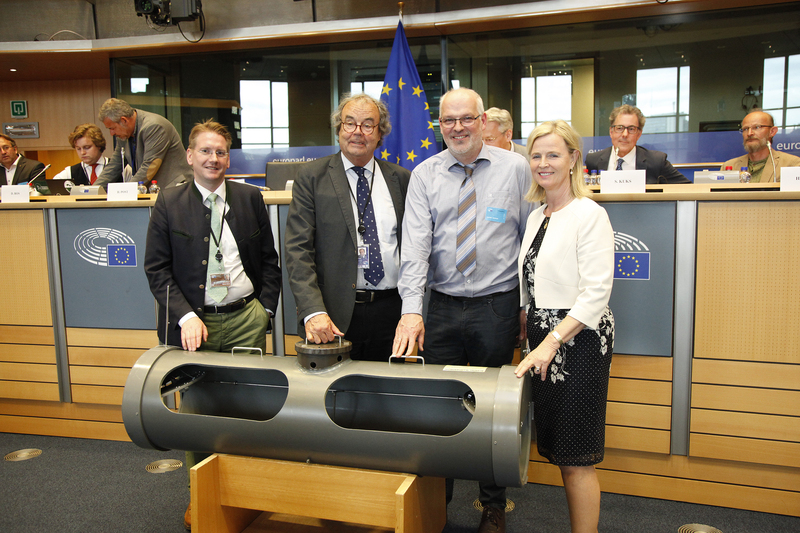 The conference was hosted by MEP Annie Schreijer-Pierik and MEP Karl-Heinz Florenz on 10 April 2018 at the European Parliament and organised by FACE, in coordination with the Dutch Water Authorities. It focused on the example from the northern Dutch-German border region. Nutria are on the EU list for invasive alien species, as they are a serious threat to biodiversity. They can create water safety problems and negatively impact agricultural yields in many parts of the EU. Panellists from both regions explained that there is a clear need to work across borders with relevant stakeholders including farmers and hunters as part of the solution and to further innovate best practice approaches to managing Nutria. The participants urged the European Commission to take the problem very seriously and to promote collaborative cross-border. All participants are looking forward to spreading existing best practice approaches to other regions and countries. Stefan Leiner, Head of Unit Biodiversity (DG Environment), outlined the position of the European Commission regarding the Nutria, stating that “The EU IAS Regulation sets the framework for concerted action at the EU level in relation to the IAS of Union concern, including the Nutria. The Nutria is not only a problem for biodiversity, but also creates huge economic costs. The EU Regulation is aimed to prevent such invasions in the future and adds value to Member States efforts in managing already widely spread species such as the Nutria. The cooperation across the German/Netherlands border on the management of Nutria sets a very good example for cross-border cooperation”. 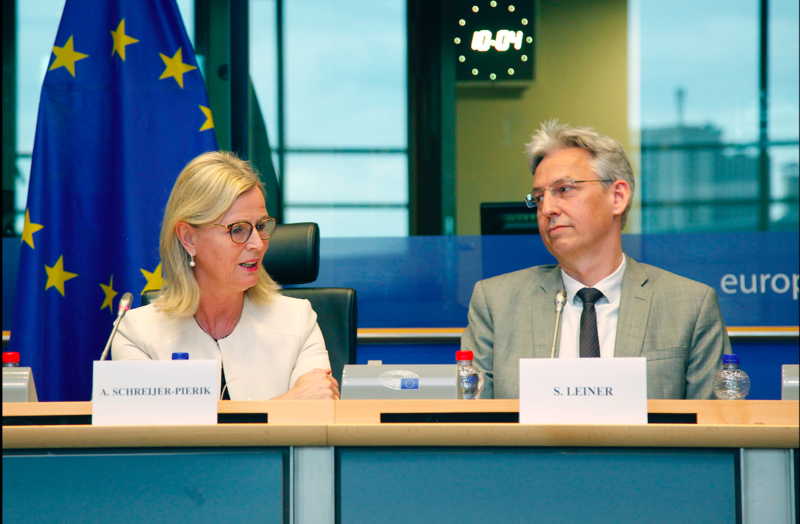 MEP Annie Schreijer-Pierik, Secretary General of the European Parliament Intergroup on “Biodiversity, Hunting, Countryside” chaired the meeting and underlined that “Nutria and Muskrat do not stop at the border. The Netherlands is doing their best to manage them, but they can easily come in across borders. This way, they continue to pose a problem for our infrastructure. This can’t continue! We need to manage these invasive alien species across borders”. Stefan Kuks, Chairman of Water Authority Vechtstromen in the Netherlands, explained the risks to which the Netherlands are exposed because of the exponential growth of the Nutria population in recent years, a real threat to water safety, ditches and key infrastructure, and also to biodiversity: “The time has come to tackle the problem of Nutria in the North-East of the Netherlands in collaboration with the authorities of the German Federal State of Lower Saxony. We agreed that in the specific area, along the border between our two countries, we will investigate and implement the best way to promote transnational cooperation between the Netherlands and Germany to ensure the best possible control measures in respect of the Nutria. Today, I would like to call upon the European Commission to support us in this collaborative venture”. Henk Post, Chairman of the National Muskrat and Nutria Working Group (Dutch Water Authorities), explained the role of the Dutch Water Authorities in Nutria control and eradication, and focused on the prospects of a cross-border management on Nutria (and Muskrat). The collaboration between German and Dutch organisations is essential, including the practice to share knowledge and information. It is also necessary to continue the professionalisation of trapping of Nutria (and Muskrat), the use of innovative methods such as the registration of trapped Nutria (and Muskrat) with GPS. The EU should support and facilitate joint transnational initiatives to combat the proliferation of IAS. Andre Westerkamp, Specialist in Eradication of Nutria, stated that it is necessary to increase the effectiveness of trapping, through innovations such as online reporting systems. He also pleaded for proper use of traps and better education of the users of trapping. Daan Boos, Applied Ecologist (Altenburg & Wymenga), said that “Invasive alien species have a large and negative impact on habitats, species, public safety and the economy, and many countries in Europe are affected by this problem”. He stressed the need to consider eradication and control as essential management tools to tackle invasive alien species. Bio-economic analysis of muskrat control also indicates that removal is more cost-effective. “Scientific studies made a comparison between the eradication in England – where the population of Coypu has been removed in a period of 11 years (1981-1992) with an eradication campaign – and the permanent control in Italy. The studies concluded that the yearly costs in Italy were already approaching the total cost of removal in England”. Such high economic damage should push to consider the complete removal of Coypu and other invasive alien species as a serious solution. Heiko Fritz, Coordinator Bisambekämpfung Landwirtschaftskammer Niedersachsen, described the enormous expansion of the Nutria in Niedersachsen: it is a world-wide problem, but in recent years Niedersachsen is increasingly under pressure from this species. The organisation has expanded and there is a big network of private trappers. In addition to that we also work together with the hunters and in total we caught more than 21.000 Nutria in 2016/2017. 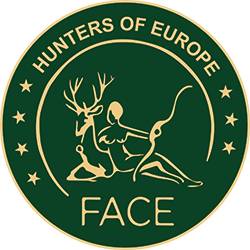 Egbert Strauss, Wildlife Biologist (Hunting Association of Lower Saxony) made clear that: “hunters are the solution, but hunting can certainly be part of the solution”. He added to the figures of Heiko Fritz that: “more than half of the Nutria were shot, and that it also increased the management of other invasive alien species through by-catch”. He raised attention for: “using the best available knowledge for management plans and to include all relevant stakeholders”.